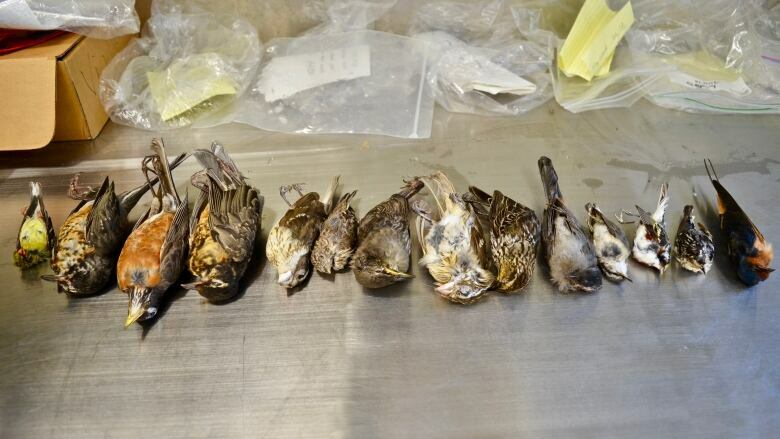 Millions of birds fall from the skies every year after crashing into windows - and scientists still don't know why. "I wonder in my head, what do birds see?" said Brendon Samuels, a PhD student at Western University. "How they react to reflections and their ability to recognize glass as an obstacle in their flight is mysterious to us." Samuels' upcoming research aims to solve this biological mystery. This winter he'll be setting up motion-detecting cameras at popular bird collision sites around campus. And starting in January, Samuels will be watching birds repeatedly crash into windows. "Our hope is that we can actually capture footage of collision events and this might tell us something about what the bird experiences in the seconds before it hits," he said. While a bit morbid, studies like this are key to conservation efforts, Samuels said. "This is an open question and it's really fundamental to our ability to prevent these collision events." That's because most bird-safety products on the market are designed based on human vision and aesthetic tastes, rather than how birds actually see. Products like stickers or films with dots and stripes, for instance, that can be stuck to windows. While they seem to help reduce bird deaths, to what extent remains debatable, Samuels said. 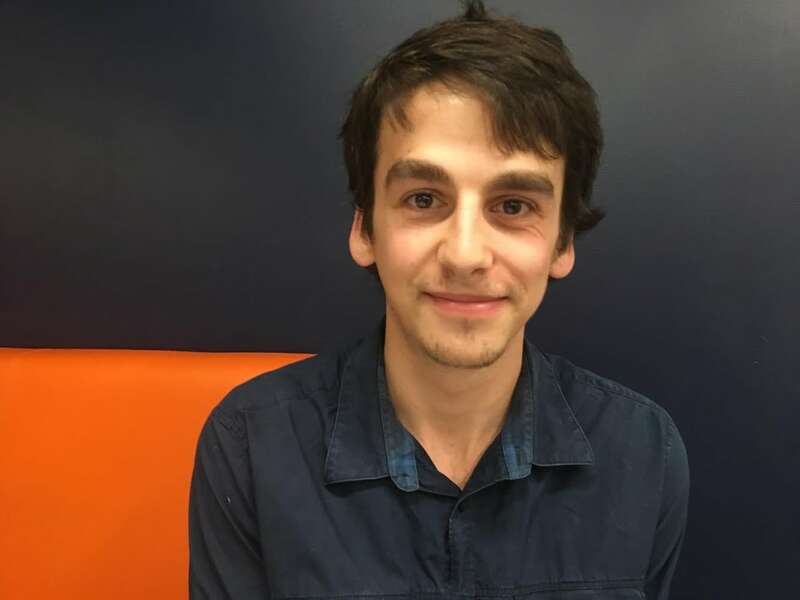 "What I'd also like to be able to do is figure out how the visual system of birds can contribute to more meaningful design." Long-term he hopes his research inspires window treatments that are based on bird vision and, therefore, more effective. There are currently a few competing ideas about how birds perceive or don't perceive glass for him to examine, Samuels said. One possibility is that birds might simply be unable to perceive glass and try to pass right through. It could also be that birds realise the obstacle seconds before impact. "We might see that they pull away, but it's too late - they're going too fast," he said. But there's also evidence to suggest that birds can see reflections and try to fly toward the mirrored surroundings. 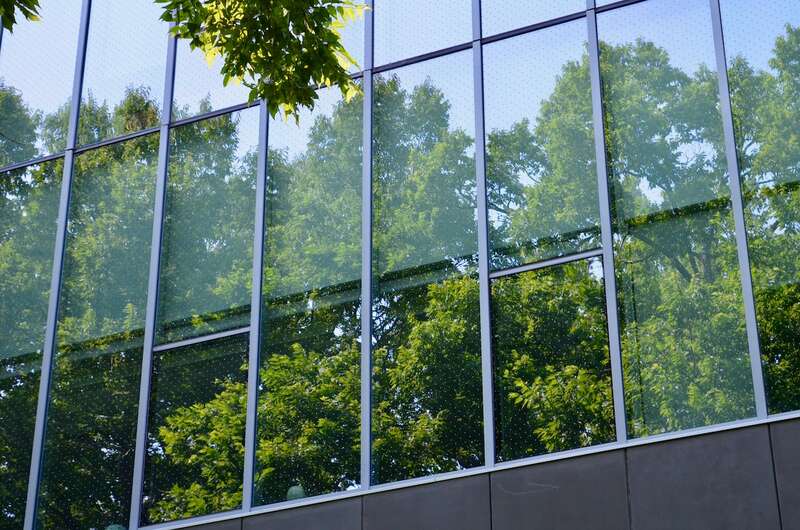 "And so you can imagine if you had a mirrored pane of glass right next to trees, the bird might see the reflection of a tree and head toward the reflection as if it could land on an actual tree." Different bird species also see in different ways too - different eye position and depth perception, for example. This makes finding a one-size-fits-all explanation even more difficult. "I think it makes more sense to actually tackle this from the perspective on conservation, whereby we can look at which species are especially vulnerable to colliding with glass and then design glass treatments," Samuels said. Samuels' colleagues at the Advanced Facility for Avian Research (AFAR) are also tracking bird collision deaths across campus. The data is so far incomplete, but part of the project's eventual goal is to help AFAR advise the university on how to bird-proof campus structures. "There's a lot of buildings that need to be retrofitted," Samuels said. Making windows bird-safe isn't generally very expensive, he explained, but really depends on the size and shape of the structure and what features you want to install. Instead, the easiest and cheapest solution is to consider bird-safe design in the construction phase. Bird safety features on Western's glassy new Interdisciplinary Research Building, for instance, were installed after consultation with AFAR. Just take a look at the first few floors and you'll see dotted bird-safety films to protect the animals flying around the ravine behind the building. 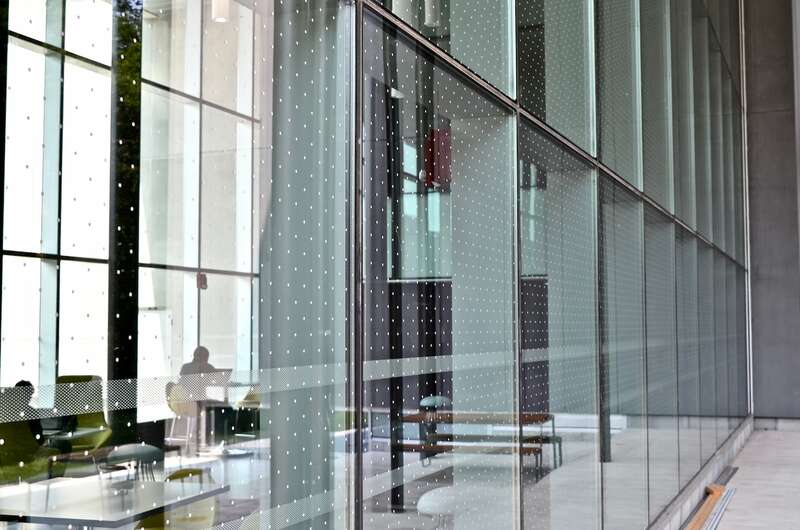 "This does seem to reduce mortality," Samuels said, and so more dots have also been installed at several glassy locations across campus. AFAR researchers are also preserving the dead birds they find on campus. That way they can study the kinds of injuries they sustain and see which ages and species are most at risk. But Samuels emphasizes that building a fully bird-safe world will take a lot more research and advocacy. Wires, cats and habitat destruction are among the other global threats to bird populations. "This is an issue far broader than London or Western or even Canada," he said. "Even with these markings in place, there are still birds hitting the glass. And so, definitely more can be done."